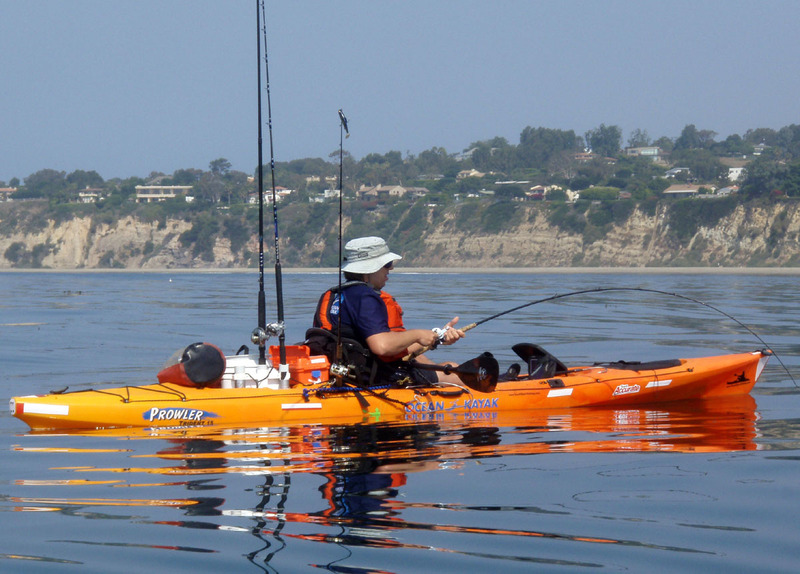 192 kayak anglers fished the dual division kayak fishing tournament at Dana Point, CA. Robby Mott won the Bass C & R Division with a 5 bass-combined weight total of 14.875 lbs. 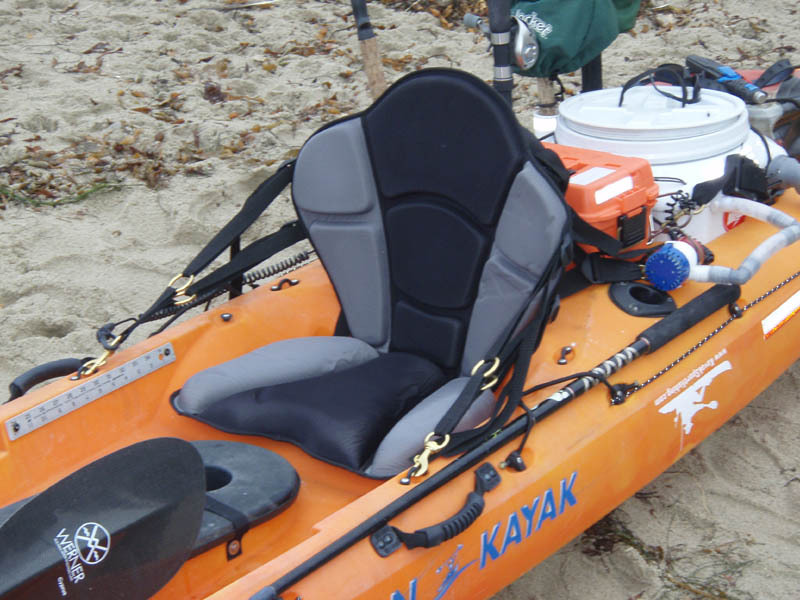 Robby won an Ocean Kayak Prowler 15 Angler Edition package generously provided by Ocean Kayak. Robby also took home a Wilderness Sytems Tarpon 160I and an Adventure Technology carbon paddle he won in the Mega Raffle. Kiyo Sato took 1st in the Big Fish Division with an 8lb 14oz California halibut. Kiyo won a new Hobie Adventure kayak package generously provided by Hobie and Dana Point Jet Ski & Kayak Center. Kayak Sportfishing has been online since 2001 spreading the kayak fishing gospel through first hand experiences and informative content. 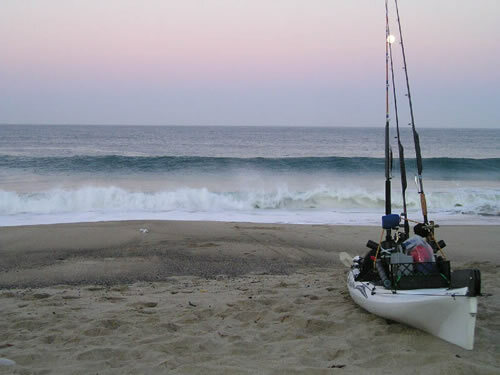 Our community is an active hub for newcomers and seasoned kayak anglers alike. While you're here be sure to stop by the kayak fishing forums, with over 8,000 registered members and growing, it's the ideal place to share reports, ask questions, and see what's new in kayaks, paddle equipment, tackle & fishing gear. I took this picture just moments before the group launched on what would be yet another Paddle Fishing Adventure - aka PFA. Laguna to Dana Point. 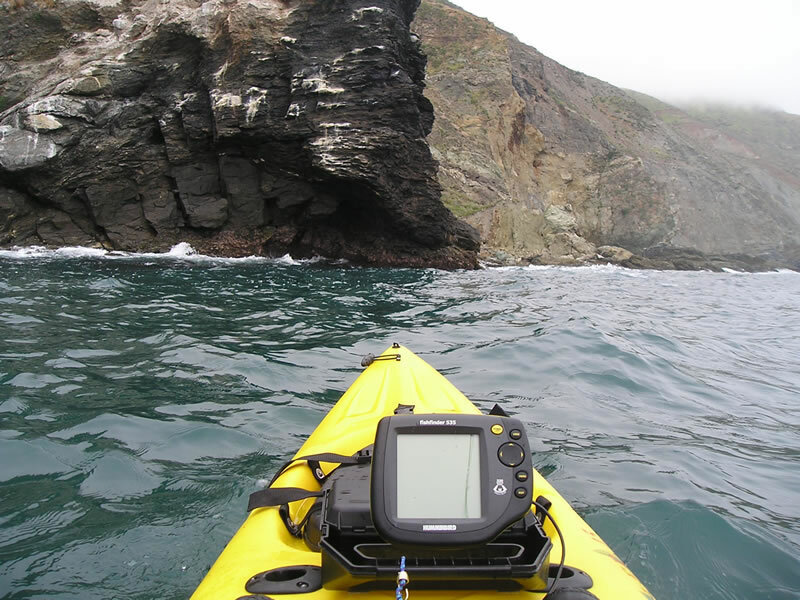 Paddle Fish Adventure or PFA (definition): a route in which the participants unload their gear at a predetermined kayak launch site, drive their vehicles to the designated landing zone (19th hole), always leaving at least one member of the party behind to observe and protect the group's fishing and kayak gear. Said volunteer(s) with SUVs, vans, and/or limosines - chauffer the individual PFAr's back to the launch site. It's a one way - hopefully down current - drift and downhill troll but for reasons beyond normal mortal comprehension, these seemingly innocent paddle fish excursions have been met with less than ideal (snotty) weather and conditions time and time and time again. Interactive map allows visitors to search by state for the very best retail stores specializing in tackle, kayak fishing, kayaks, canoes, and paddle gear and accessories. A work in progress. 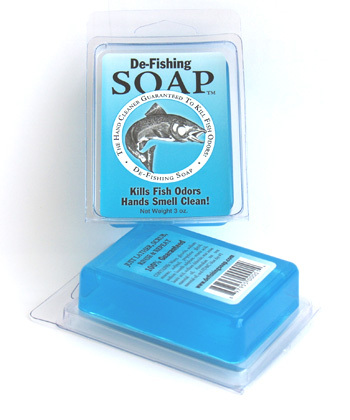 De-Fishing Soap is specially formulated to lift odors from hands and neutralize them. De-Fishing Soap doesn't simply mask odors, it completely eliminates them. Squid, mackerel, and other odors are tough to remove but they're no match for De-Fishing Soap. The GTS Expedition from Surf to Summit tops out their high-end line of GTS Seats with a new model that boasts solid back support and a thick luxurious cushion for the boo-tay. Kayak Fishing on The Travel Channel Jim "Saba Slayer" Salazar and Jason "jas" Morton ferry over to Catalina Island to show the host from Cash and Treasures how to catch lobsters from ocean kayaks. Fantastic above and below footage. Currently airing.